This group replaced the previous Thursday Fellowship Group, and started meeting in October 2010. We now meet once a month on the 3rd Thursday of each month at 7.30pm. Our first year was very successful and the average size of the meetings has been about 35 people. Not all of the people who have been attending come to our church, we are open to anyone who wishes to come along and join us. Information for each event will be available on the notices sheet a week or two in advance of the meeting night. Entertainment is very varied, just to give a flavour of what we have enjoyed we have had Musical evenings (Gilbert and Sullivan and Music from the Shows), a couple of themed quizzes, a beetle drive, some very interesting holiday talks and slide shows, a plant display and sale, and a Christmas celebration evening, and so much more. The format of the evening is ‘cafe’ style, and the refreshments are very much appreciated by everyone, as there is usually a selection of wonderful homemade cakes, scones, etc, mostly thanks to Linda, with a little help from her friends! A fortnightly meeting called Good Companions which is open to all and includes games afternoons, outings and a speaker programme. On alternative weeks we also run a ChatRoom when folk come along to talk over refreshments or play a game of dominoes (whatever takes their fancy). Transport is available for both the Good Companions and the ChatRoom. 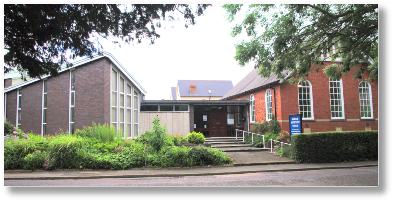 One to one visiting is also available to those who are unable to come to the church building, in addition help can be offered with the weekly shopping. A luncheon club which is based at the church in Eston when a 2 course meal with tea or coffee is available (booking is necessary). A “Drop in” also takes place at the church in Normanby on Tuesday afternoons. A Town centre group (similar to the Good Companions) is held fortnightly at Linthorpe Road. A men’s group (fortnightly) includes a pub lunch followed by a walk or visit to a place of interest. We are an open group and welcome mums, dads, grandparents & childminders with children aged from birth to 4 years. We provide a variety of toys and equipment to suit all ages and have a safe carpet area for babies and young children. Our aim is to make everyone feel welcome and to provide a safe environment where the children can play and mums and other carers can relax and enjoy a chat while still being close at hand for their child, if needed. meets every Monday at 2.15pm from September to May. We cover a wide range of topics with various speakers. We also have musical afternoons and members afternoons when we “do our own thing”, choosing our favourite hymns, and readings and poems which are often very humorous. The cup of tea, biscuits and chat at the end of the meeting are always welcome. Once a year we organise a charity coffee morning and have supported various charities over the years. We end the session in June with an outing, spending the morning in Northallerton before going on to Snape for lunch. We are always looking for new members so ladies why not come along and enjoy the fellowship and friendship, you will be most welcome. People from Marton Methodist church join with folk from other churches in the area in two house-groups (one held on a Mondays and one on a Wednesday). These friendly ecumenical groups engage in bible study and, occasionally, other study courses (for example the York Lent courses). For details of dates, times and venues please see the latest church notices.